About 3,000 people who fled as a wildfire threatened a New Zealand town were allowed to return home today as firefighting conditions improved. Another 400 residents living in valleys near the fire aren't yet able to return, although officials hope they will be able to soon. Firefighters say they gained the upper hand over the blaze thanks to favorable weather conditions. 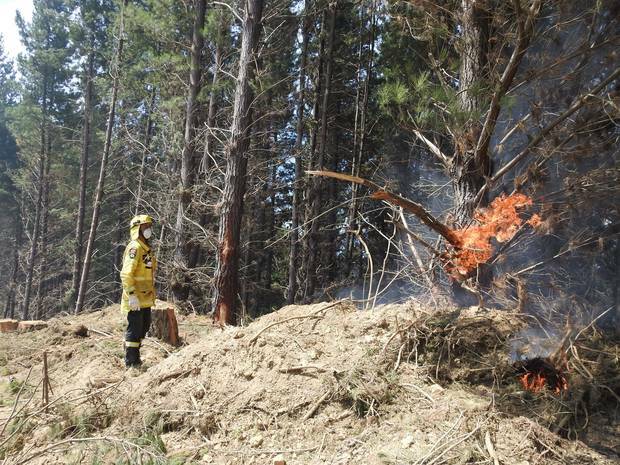 The forest fire began nearly a week ago on the South Island and burned 5,700 acres. It burned down one house and prompted evacuations beginning Friday. "It's a large fire, and the fact that we're able to get residents back into Wakefield this afternoon is extremely positive news,'' said Civil Defence Minister Kris Faafoi. He said residents who return need to be prepared to evacuate again if conditions change. But he added that he's hopeful valley residents will also be able to return home soon. "The feedback that we've had from those who were at the frontline of this fire was that there was a real intensity to this fire, that the drought-like conditions they're experiencing contributed to that,'' Ardern said. -AP.Photo: New Zealand Herald.